CS-Cart “Facebook store” service allows to build your own full-featured store on Facebook. We do not only move your CS-Cart based store to Facebook but also save its unique design. A big advantage of this service is that your Facebook store doesn’t require any updates because all changes made in your CS-Cart based store will be displayed in Facebook store automatically. Besides, nowadays lots of people use social networks, so it is very convenient to have Facebook store at hand because it helps you to attract new visitors. No necessity in any add-on installation. All you need is to configure Facebook store in your order page. You should have Facebook account with business or private page on it. Your target domain should have SSL certificate. Facebook shows the same content of Responsive theme as on device with 800px width. One license of the add-on is valid for only one domain name. In order to use the add-on on another domain, it is necessary to buy one more license. Do not work with Facebook mobile applications. If you embed your store into a Facebook page, please specify widget.cart-services.com and cs-market.com as the domains. Otherwise reCAPTCHA won’t work in your embedded store. According to the recent changes in Facebook policy you need to add our company's Facebook account as an admin of the target page in order that we can configure Facebook store on it. Thank you for the interest in our product. 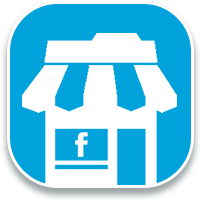 We are glad to let you know that the "Facebook store" add-on is compatible with CS-Cart v.4.0.x. Unfortunately, this add-on doesn't include such functionality as Fan Gate, but if you are interested in such development just contact us with a free quote. I am interested to buy this add ons but we have cs cart multivendor 4.01. So , make this compatible with 4.01. So, that I can purchase this one. We plan to investigate the possibility of such development after the release of more stable 4 version. Do you guys plan to release this addon also for v4 ? This is definitely worth the money if you want your cs-cart on Facebook. From checkout to completion the cs-market.com guys were fantastic. Highly recommend this product and service. This included the Facebook login for the main site and it works a treat. Highly recommend this add on too.